…and mine is fairness; or to be more specific, the lack of it. It’s for this reason I came over all controversial this month. H aving heard one too many stories of some artists being treated badly by some galleries, I decided to write an open letter to the industry (which I’m delighted to say some national magazines have chosen to publish). Although the first draft of the letter was rather angry, I quickly realised that finger pointing is a sure way of pushing the recipient back into their fears (which, in itself, is a nice metaphor). So I decided to redraft it and make it more of a call-to-arms. We can all be susceptible to the fear that there may not be enough (one of the main reasons of not paying a supplier promptly, I guess) but, like I said in last month’s newsletter, it’s how we choose to act upon those fears that determines our resulting experience. When we act from fear, I’m a great believer that we’re supporting that experience; rather as if by projecting that image onto our subconscious turns that projection into a reality. Of course, stepping out into the road when a car’s coming isn’t wise and I’m not suggesting we challenge fate to those ends. But I believe taking a step away from fear is also taking one towards love (the true opposite of fear). 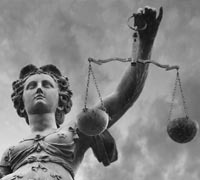 …if not because protecting your supplier means protecting your own business, then simply because it’s the fair thing to do… and that by envisaging that abundance, it could confirm that it’s a reality for them, too. And on the subject of abundance, I want to take this opportunity to thank you very, very much for your support over the last financial year. THG has experienced yet another year of over 50% growth – for the third year running – which is amazing! You have fabulous taste and our artists are some of the best people to work with I’ve ever experienced, so my wildest expectations have once again been exceeded… talk about abundance! Truly, many, many thanks. Before I get on to the movement in the gallery, I’m proud to announce THG’s newest recruit to the family: Tony Allain. 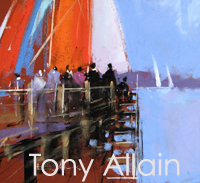 Having recently returned to the UK, Tony is an extremely established artist and I hope you’ll love his colourful, contemporary pastels as much as I do. You can check out his for new pieces on his page of the site and his impressive biography here. Welcome, Tony! So what have those lovely artists been up to this last month? Well, we’ve been seriously inundated with beautiful new works. 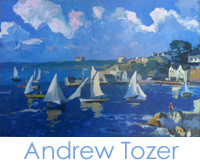 Andrew Tozer popped in with two stunning St Mawes paintings to fill the gaps of what we’d sold and there is a new collection on its way for this coming season! 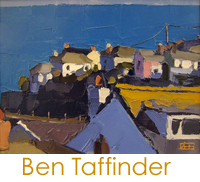 We’ve got five newbies in from the Talented Mr Taffinder, one of which I’m going to have to hide from my wife! 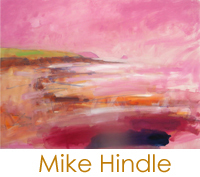 And that splendid Mike Hindle has been selling like billy-o, so he’s been in with replacements just this last week… and boy, are they wonderful! 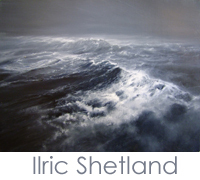 The inimitable Ilric Shetland popped in last week with a superb new seascape, which is really quite affordable. Check this one out at your peril! 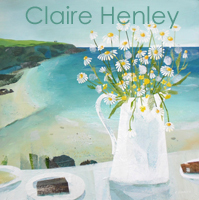 And the lovely Claire Henley broke all records this month by selling one of her ‘flowers at the Hidden Hut’ paintings in just 9 minutes! Worry not, though, as she has two others just in! 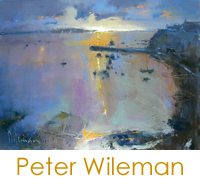 And if that wasn’t enough for you, just look at what’s on its way to us from the maestro that is Peter Wileman! He’s also just finished another for us of Fowey and I expect to take delivery of those two corkers w/c 11th May! Gorge! And that there splendid Rachael Mia Allen has just delivered seven… yes, seven! newbies just last week, so they’re live on the website for you to drool over now! She’s also the feature of this month’s Podcast, so why not take a few moments to see how she produces the wonder that she does?! 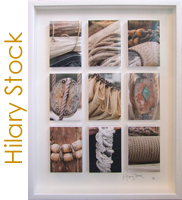 Not only that, that smashin’ Hilary Stock popped in with four fabulous new designs, too! You can see those on her page here. She’s a popular girl and I’m just working on some worldwide deals for her splendid art, too! What a star! 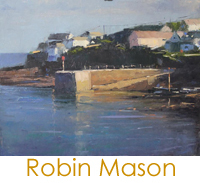 Lastly, here’s a taster of what’s to feature in Robin Mason’s exhibition at the Fisherman’s Shelter at the end of the month. He keeps adding them to his Facebook page to get us all excited (what a tease!) but they’ll go live on his page of THG’s website the day before the exhibition (which is f rom 22nd – 24th May here in Portscatho) so set your calendar to remind you to check those out… something tells me they won’t last long! So that’s the lot, folks. Once again, thanks for all your support over the past 12 months. 370 paintings in one year! That’s more than one sale for every day. Astonishing! I’m feeling truly blessed by your allegiance. Whilst in Tuscany with my gorge wife this month, we got on to talking about first impressions and how prejudices can so easily come to the fore when meeting people for the first time. It’s clear there’s a fine line between, say, angst of falling – an inbuilt response that is a natural safety net to guard us from danger – and a learnt behaviour that’s built on past experiences. 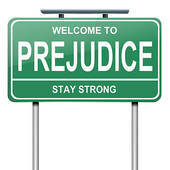 For example, if someone with a moustache has hurt us in someway in the past, how can we learn to rid ourselves of that prejudice when we become older, so it doesn’t cloud our view of everyone else with a moustache? My feeling is, we can’t (well, not without a huge amount of therapy). …read more.